Readers of Politico awoke Tuesday morning to a story detailing the long-awaited findings of Republicans on the House Select Committee on Benghazi. Others read a version on the Weekly Standard. Or maybe they caught something about it on Fox News. Those were three of the news outlets that received leaks from the the 800-page report on the 2012 attack as part of a strategic media roll-out ostensibly orchestrated by the House GOP. CNN, which owns this website, also received an early look, as did NBC. House Democrats were frustrated by the leaks, complaining that their Republican counterparts shared the report with the media before they were given a look. Democrats put out their own report Monday in anticipation of the Republican version released on Tuesday. A spokesman for Republicans on the select committee did not respond to a request for comment. The GOP report was released in full later on Tuesday morning, about three hours after Politico published its story. House Republicans appeared to leak different portions of the report, perhaps tailored for each outlet's audience. 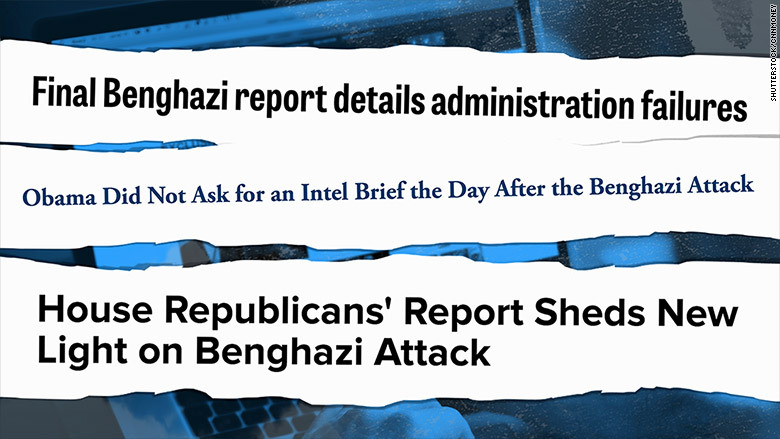 The Benghazi report was the subject of orchestrated leaks Tuesday. NBC, which obtained the first 175-page section of the 800-page report, noted a newly revealed video conference call from the night of the attack held by White House Chief of Staff Denis McDonough and attended by Hillary Clinton, then secretary of state. The story published by the Weekly Standard focused largely on the revelation that President Obama did not hold an intelligence briefing the day following the attack. Fox News' story included a quote from a diplomatic security agent who said he saw no evidence of a protest prior to the attack, a rebuttal to the Obama administration's initial claims that the consulate attack was triggered by a video made in the U.S. mocking Islam and the Prophet Mohammed. The attack, determined to have been a coordinated, planned attack, killed Ambassador Chris Stevens and three other Americans. Both Fox and the Weekly Standard disseminated those stories to an audience of conservatives for whom the Benghazi attack remains a massive failure, if not scandal, on the part of Obama and Clinton. The framing of their stories reflected that. The other outlets took a more sober look at the report, ultimately finding no bombshell within the hundreds of pages of findings. Related: Did Fox and NBC get Bowe Bergdahl story wrong? CNN's Dana Bash said the report contained no "smoking gun when it comes to Hillary Clinton's culpability." The New York Times, which did not receive an advanced look at the report, drew the same conclusion. 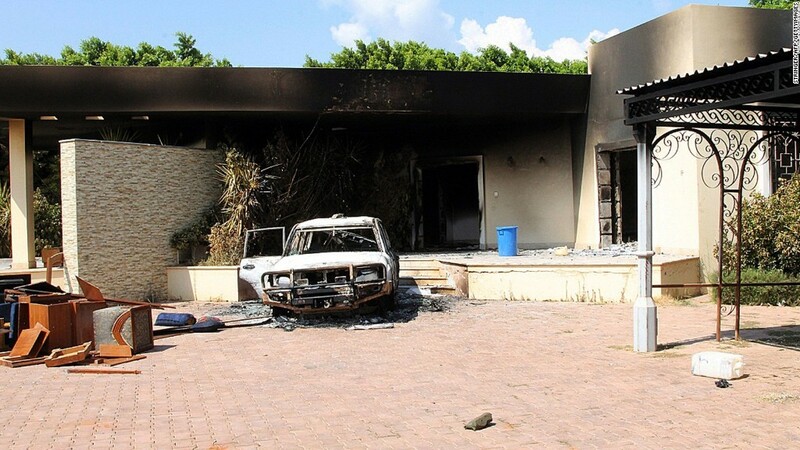 The attack on the U.S. consulate in Libya has become a bellwether for partisan disagreement in this country. Republicans have excoriated the administration over its handling of the attack, while Democrats have accused the GOP of engaging in a witch hunt. Polls have shown a mixed public reaction to the attack and the ensuing two-year congressional investigation. A CNN/ORC survey last fall found a majority of Americans were "dissatisfied" with Clinton's handling of the matter, but the same poll showed that 72% believed the select committee was "mostly using the investigation to gain political advantage." Public interest in Benghazi has waned in the years following the attack. By June 2014, nearly two years after the carnage, Gallup found that only 43 percent of the country followed the issue "somewhat or very" closely. On Tuesday morning, it appeared that even the Drudge Report was ready to move on. The website, a widely read news aggregator and a touchstone for conservative media, gave the top headline to a story about a meeting among North American leaders, with links to the Benghazi report placed slightly lower on the page.